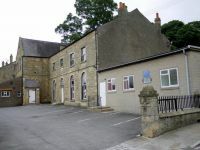 Northumbria Group have had to change their HQ venue for the Durham Dales Challenge Walk on 25th June from the school buildings that were used for many years to Wolsingham Masonic Hall. WMH is adjacent to the parish church on Church Lane, DL13 3AN near the centre of the village. Parking arrangements have been made and details will be issued to all entrants shortly.